Use this trusted resource to stay on top of local and global weather forecast. This is also a very trusted site to access radars and severe weather alerts. You may have a typical planning calendar. However, My Wedding Weather will generate a checklist with the weather in mind! 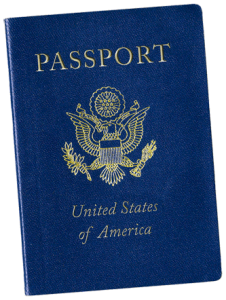 You will need a passport if you’re traveling outside of the United States or United States territories (Puerto Rico, the U.S. Virgin Islands, Guam, American Samoa and the Northern Marianas). Visit Travel.State.Gov for complete information on Passport and Passport Card requirements. Our nation’s security travel process can be simple by preparing and knowing what to expect. Visit the Travel Security Administration’s website for complete details. This is one handy little resource of things you should know before you go.